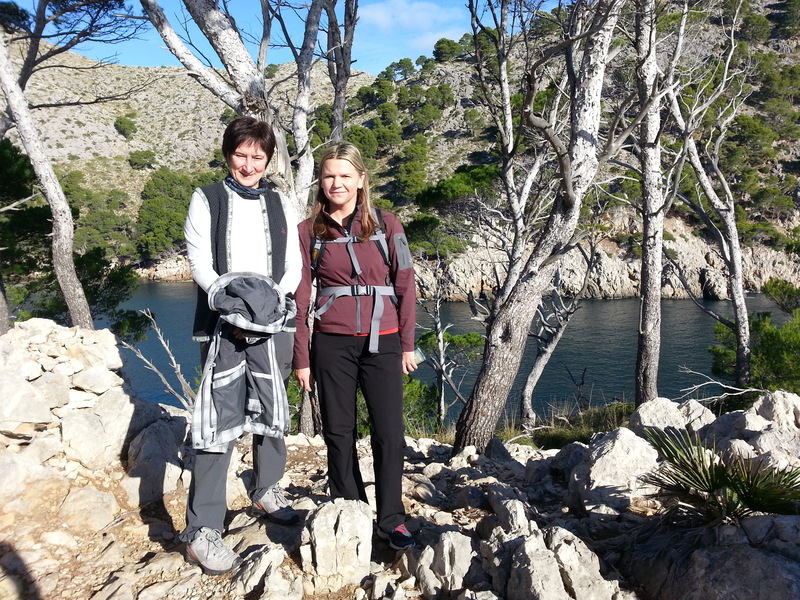 Ulrike und Katarina sind für eine Woche hier und heute sind wir in die Cala Murta und Cala Figuera gewandert. Danach gab es guten Kuchen am Leuchtturm auf Cap Formentor. Sheila has gone to the UK for a few days and I am keeping busy with hiking and other things. 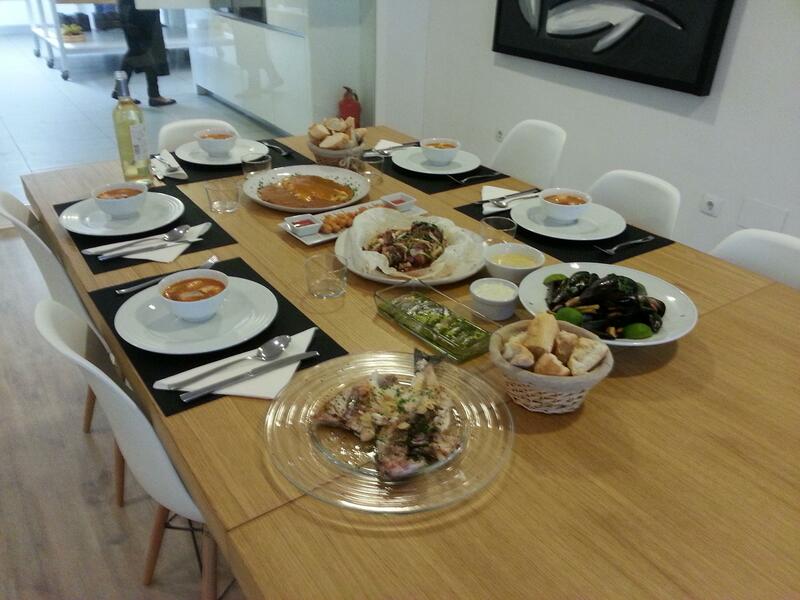 Today I attended a fish class at a local cooking school: Four students and the teacher went shopping at the market, we then cooked eight dishes, and ate very well. Great way to spend the day. Unsere Gäste sind alle wieder abgeflogen und wir haben sauber gemacht, aufgräumt, etc. 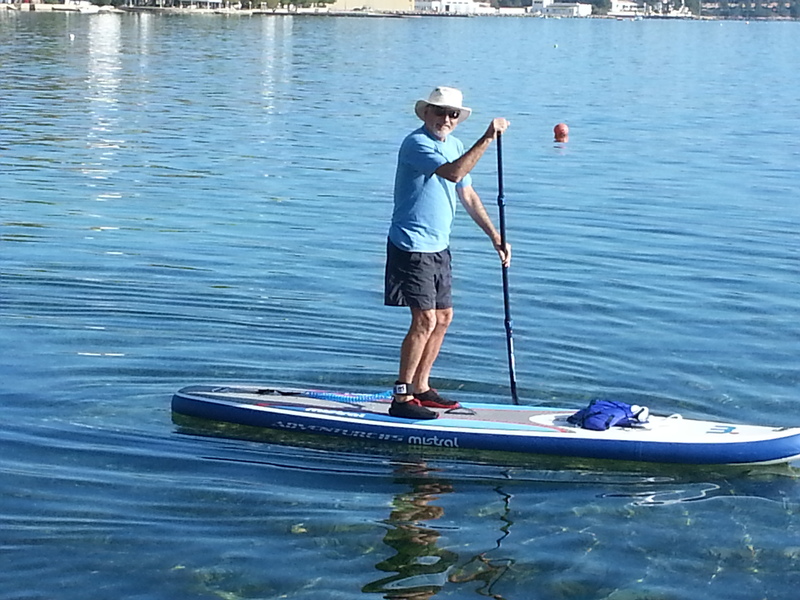 Ich habe heute auch so ein Paddelbrett gekauft wie ich sie in Kanada habe. Das Wetter war wieder heiß und sonnig, da musste ich das Brett natürlich gleich ausprobieren. Großartig wieder auf dem Wasser zu sein! 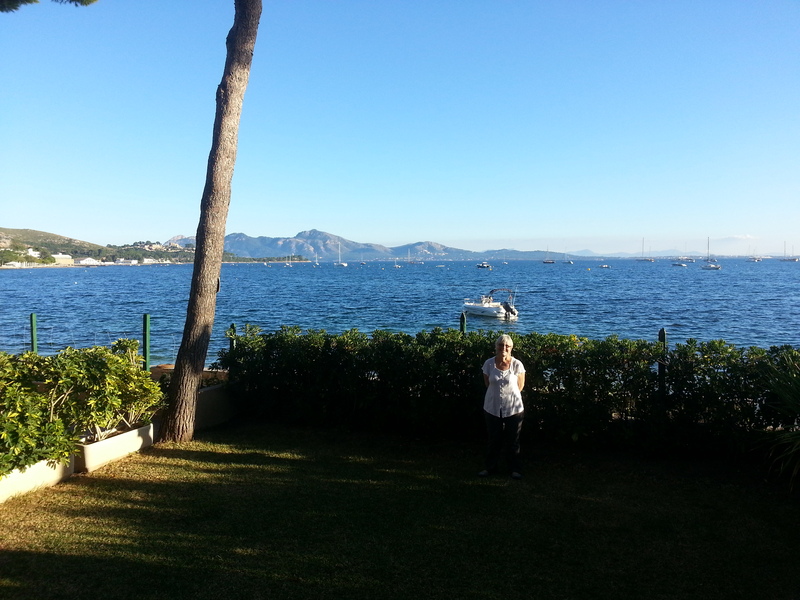 Another hot and sunny day, and after lunch Altana went swimming. 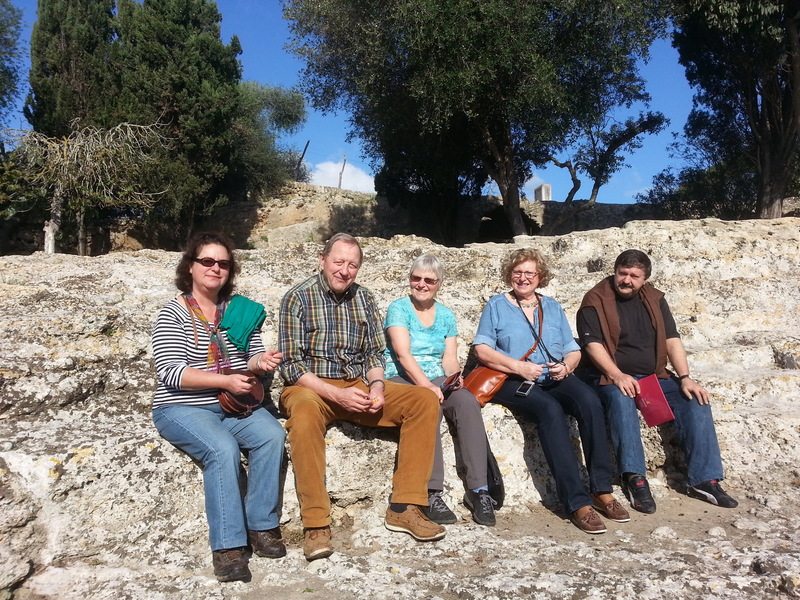 Wir haben liebe Freunde zu Besuch und genießen das schöne Wetter hier auf Mallorca. Somehow I always end up with the tough jobs like cleaning the beach toys on a hot and sunny day whereas Sheila gets to do the fun parts like laundry and shopping. At 9:30 this morning it was 25 degrees Celsius and the ocean is 21. 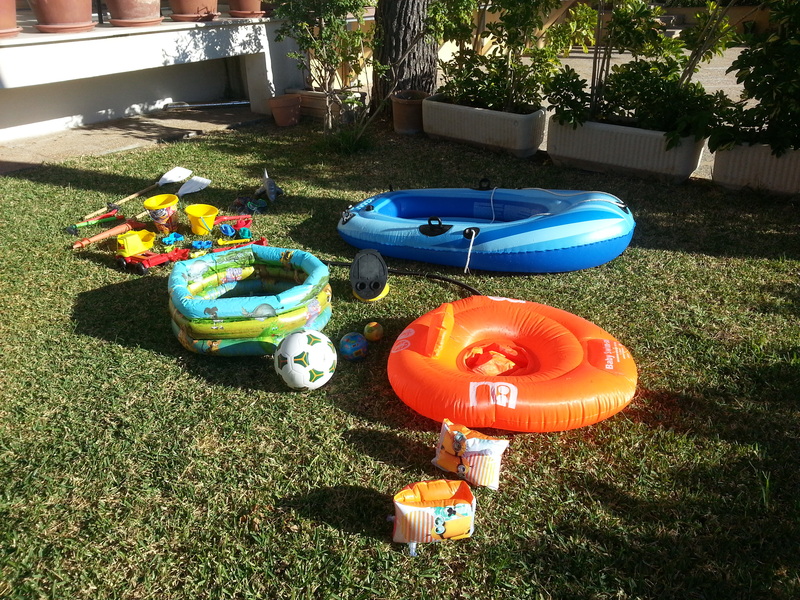 I thought of taking the little dinghy out, but then got too busy watching all the toys dry. 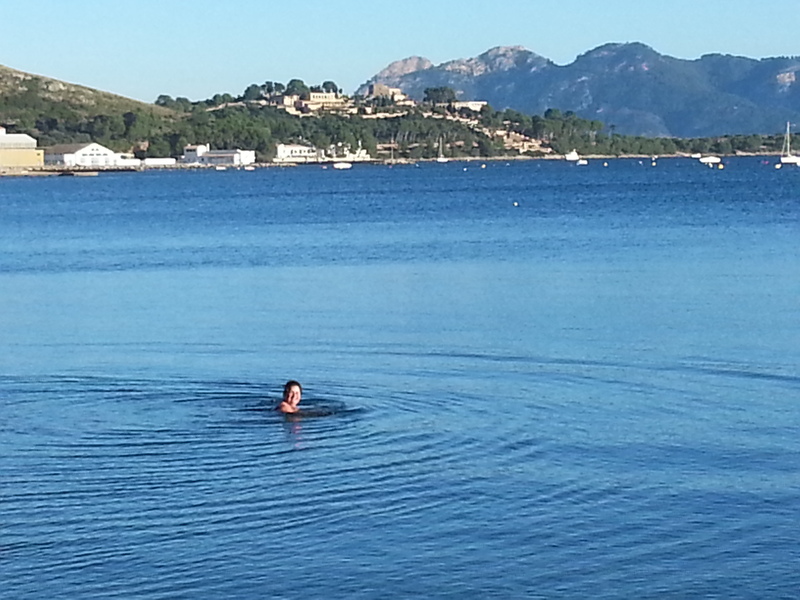 We are back in our winter quarters on Mallorca, the ocean is still warm enough for swimming, the sun is shining and we look forward to our first visitors next week. 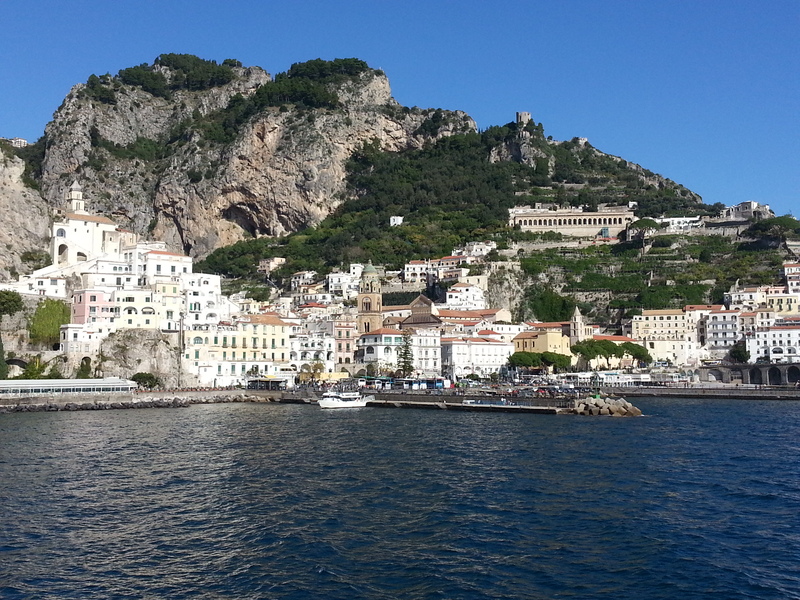 We took the ferry from Positano to Amalfi today and will spend the rest of the week in this cute little town. It was once very big and important with over 70,000 inhabitants, but an earthquake and tsunami on 25 November 1343 destroyed most of it and the town is much smaller today (a little over 5,000 inhabitants plus a few tourists). There are many nice walks in the area and we went on one today, up the valley behind the town, 2 hours of strenuous hiking up the hills and down a long staircase. The weather is hot and sunny, so a beer after the hike was much appreciated. Today the weather is nice and sunny again. 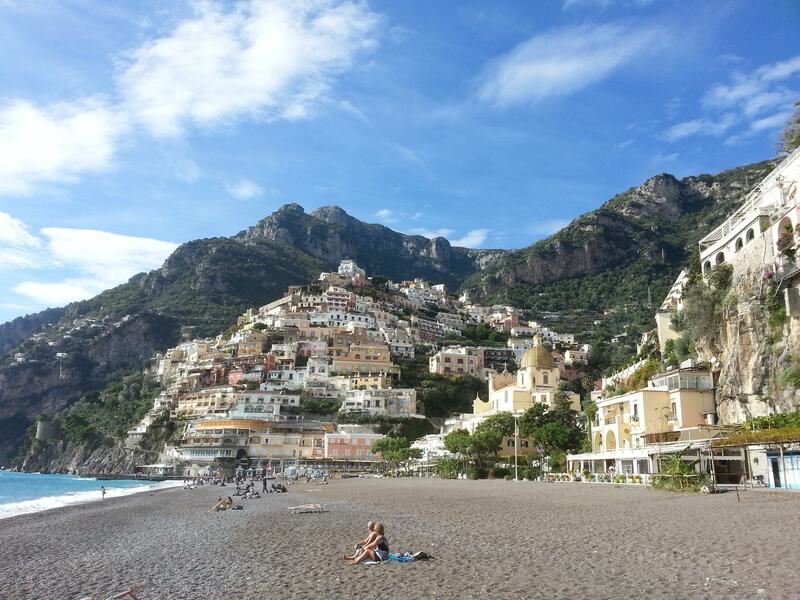 We went back to the mainland and are staying in Positano. The village is built into the hillside, rather impressive.